The Alex and Ani Bangle of the month for this month of March, 2017, is a set that is designed for waking the earth for springtime. This month features this set as a limited edition, instead of offering a bangle and charm with a $5 discount. The Claddagh Art Infusion Set is a limited edition bangle set for the month of March, 2017. It features the Claddagh, the Irish symbol of love. This beautiful charm is created from a lavender color to help awaken the earth and plant spirits for breaking ground. The Claddagh charm is hung on a its own silver bangle. 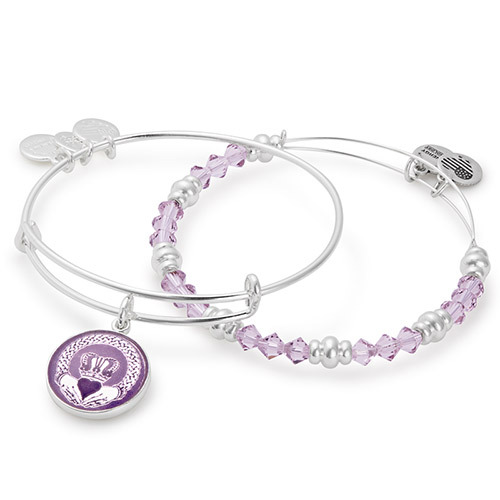 In addition to the Claddagh charm bangle, you’ll receive the second part of this beautiful set. 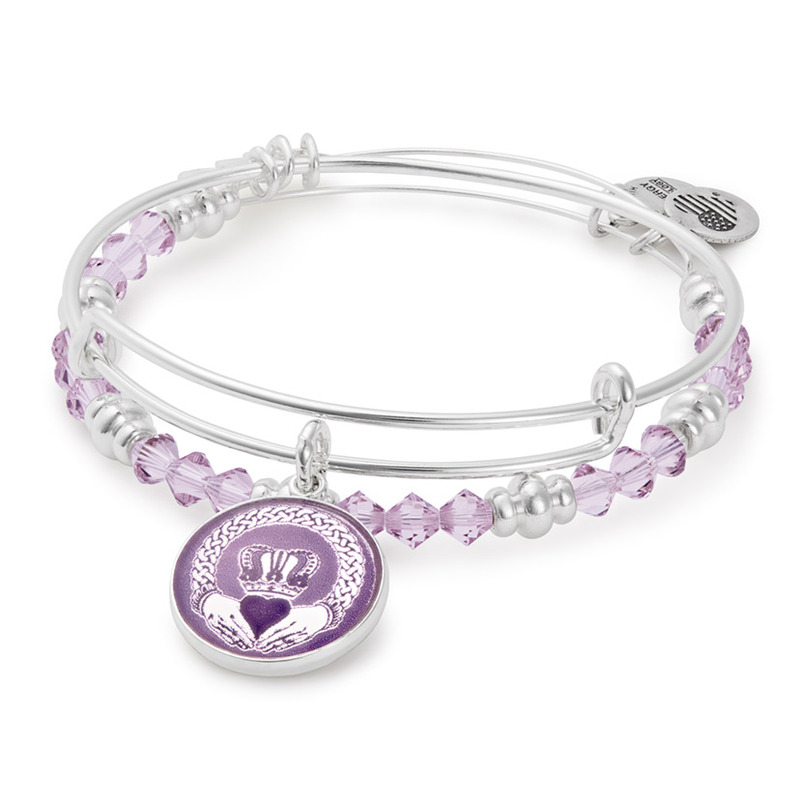 The second bangle is packed with Swarovski crystal beads that complements the lavender blush of the Claddagh charm. These beads are a combination of amethyst color and silver beads that appear after each group of three Swarovski crystal beads. The price of this bangle set is only $58. This is an exclusive bangle that will be offered only for this month, March 2017. Once this month is over and the stock is depleted, you will no longer be able to purchase them. This is a great way to build your collectable Alex and Ani bangles. These exclusive bangles are sure to be more and more popular over time. Alex and Ani bangles and charms are sold at Ben David Jewelers in Danville, VA. We make it a point to stay well stocked in everything Alex and Ani, including these exclusive offers like this month’s Claddagh charm bangle set. The Alex and Ani brand is very popular with our customers and we want to make sure everyone gets a new bangle when they arrive.